The Bosch RA1128 8 pc. Template Guide Set features six popular router template guides, including large and small dovetail router guides and two radius hinge guides. It also includes the Bosch RA1126 Quick-Change Template Guide Adapter plus the RA1100 Interface for Threaded Template Guides. 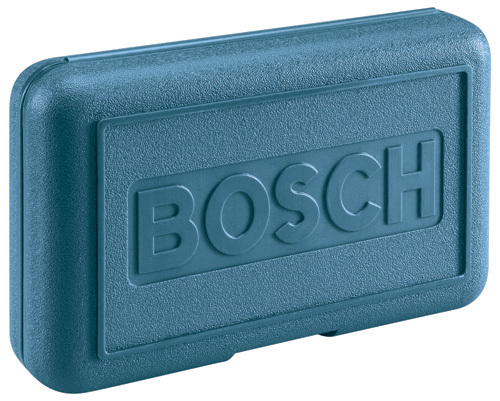 The quick-change adapter accepts Bosch RA-series template guides. 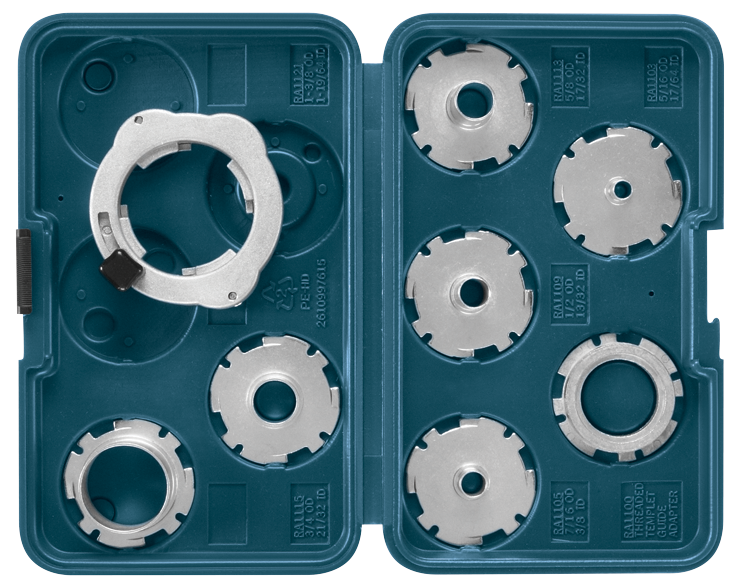 It also accepts the RA1100 interface piece, which allows the template guide adapter to accept Porter-Cable® and similar common threaded template guides (and reducer inserts) that that are sized for a 1-3/8” counter-bore. This template guide set works with many Bosch routers, including the 1613AEVS, 1617-, 1618-, 1619- and MR23-Series routers, as well as the plunge bases for Bosch palm routers. Size 9/64 In. x 5/16 In. x 17/64 In., 9/64 In. x 7/16 In. x 3/8 In., 7/16 In. x 1/2 In. x 13/32 In., 1/2 In. x 5/8 In. x 17/32 In., 3/16 In. x 3/4 In. x 21/32 In.